Matthew Barber’s adaptation of the book Eleanor & Abel, by Annette Sanford, was awarded Best New Play in 2017 by the Edgerton Foundation. It subsequently made its debut at the Long Wharf Theatre in New Haven, Connecticut, starring Jane Alexander. Barber also adapted Elizabeth von Arnim’s popular Enchanted April, produced by the Players in 2007. Set in Groverdell, a small Texas town, the story finds Eleanor Bannister (Joanne Cox), a respected, retired school teacher coming to grips with the advances of a smooth-talking drifter, Abel Brown (Dan Beckhard). Abel questions Eleanor’s core being, and whether she will be able to let go of the past and embrace the future. Grace Bodell (Linda Stough), who is Eleanor’s busybody neighbor, and Eugene Claymire (John Pitman), the town’s sheriff and onetime “pupil” of Eleanor’s, round out the cast. Tongues are soon wagging in Groverdell, asking, Is Abel Brown all that he seems to be? 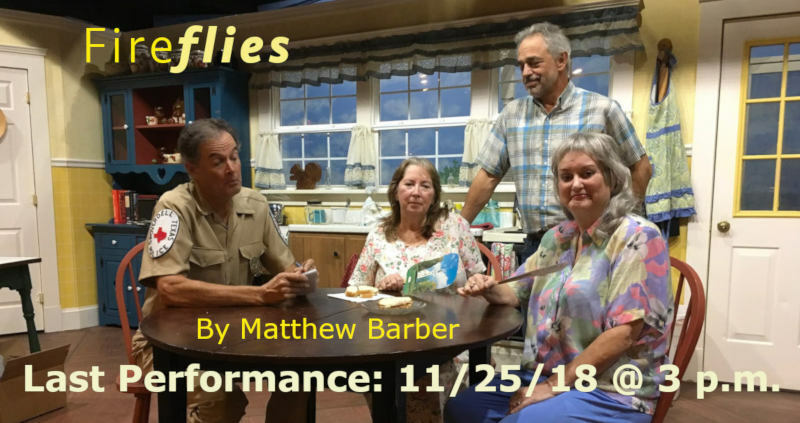 CALLAO, Virginia: “Fireflies,” a sweet romantic comedy, opens with a gala on Saturday, 3 November, at the Westmoreland Players in Callao. For a night of unforgettable theatre, treat your loved ones and see why this play, written by Matthew Barber, was voted Best New Play in 2017. Directed by Dr. Tommy Neuman, “Fireflies” features Joanne Cox, a talented actress who can manage the gamut of emotions with ease. She becomes Eleanor Bannister, a retired school teacher who has taught everybody under age fifty in Groverdell, Texas, the setting of the story. Eleanor has been having feelings that life has left her behind, but things change when a drifter, Abel Brown, shows up looking for work. 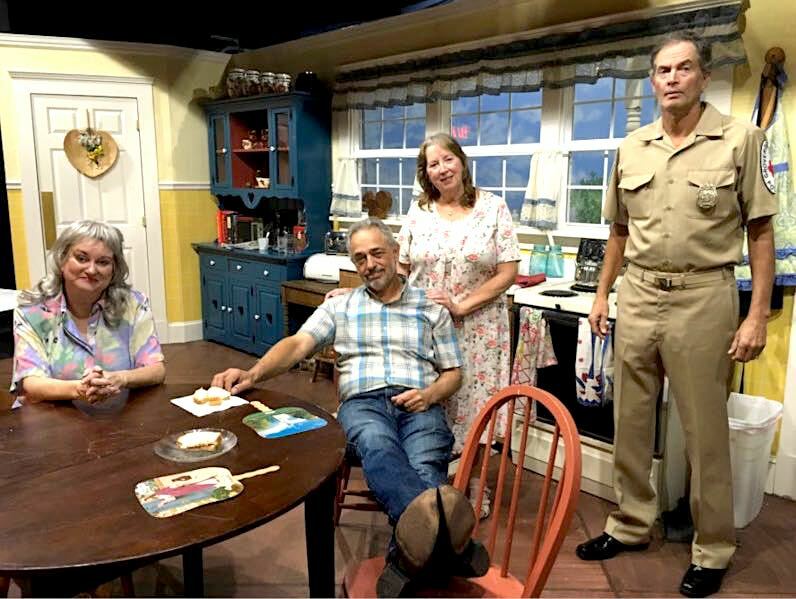 Brown is played flawlessly by Dan Beckhard, a newcomer to The Westmoreland Players. Completing the cast is noted comedic actress Linda Stough and veteran actor John Pitman. Stough plays Grace Bodell, the nosey neighbor and one of Eleanor’s former students. Pitman is wonderful as Eugene Claymire, the local cop.